As I come from a rural background in Ireland, agriculture has to an extent always been part of my life. I have worked on farms as a young lad, and all things agriculture interest me still. As a management accountant, I’d have a wild guess and say that most farmers do little formal accounting – particularly small farmers. Some farms have quite the turnover nowadays in Ireland and many are incorporated and even fit the medium-sized company criteria. The smaller farm, like many small businesses, probably does very little accounting – maybe just the annual trip to the accountant’s practice to work out taxes due. As I have written in previous posts, cloud-based accounting software is a key tool in my view in bringing accounting to small business. And farming is no exception to that. 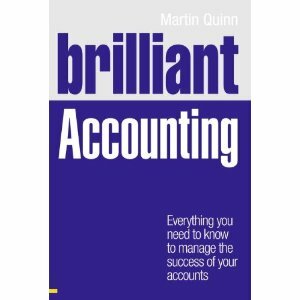 Having done a relatively brief Google search, I could not readily find any cloud-based accounting apps which might be suitable for farmer. Farm accounting is a little difference than other business sectors in that 1) inventories are live crops and animals and 2) costs and revenues needs to be captured by sector e.g. tillage, dairy, crops. I have found several farm management apps, such as FarmFlo or see here for an international view. There are some software packages specifically designed for larger farms (see here for example), but it seems there is a gap there in terms of the smaller farmer. If I were to design an app, to be honest I would focus more on cash-based accounting than accruals accounting. I think farmers focus more on the cash in the bank than on profit.